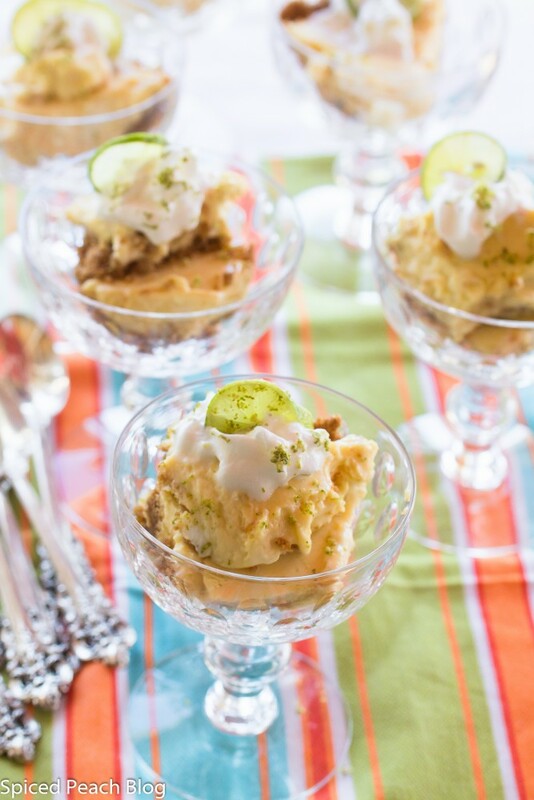 Versatile in culinary use, the Key Lime is perhaps best known by many as a Florida favorite, Key Lime Pie. A couple of weeks back the local produce market had Key Limes in stock and given they are most often not so readily available in this area, I immediately snatched up two bright green netted bags full without blinking an eye, maybe four or five pounds worth. Not short on ideas, it was also in the back of my mind that it has been years, many years, since I prepared a Key Lime Pie, it may even have been in a restaurant I once worked. As I sorted out through many recipes while picking up the standard amounts and component ingredients I also wondered why certain ingredients were added to this traditional dessert. Why? Did it make the traditional Key Lime Pie better? Or, was it simply a whim of an idea to do something different? Oh heavenly limes. Whenever these sorts of questions begin popping in my mind, there begins the historical research, and this can sometimes put hitting the ‘publish’ button on the back burner for weeks until a broad range of historical information is explored, vetted and further thought through. I suppose this habit was formed through years of working at a newspaper. I seemed to recall that the history of the Key Lime Pie, thought to have originated in the Florida Keys, was created using sweetened condensed milk due to not having refrigeration in those parts until 1930, this part is correct. Why this is poignant within ingredient preparation is that there would have been no addition of sour cream as I noted in some current recipes. 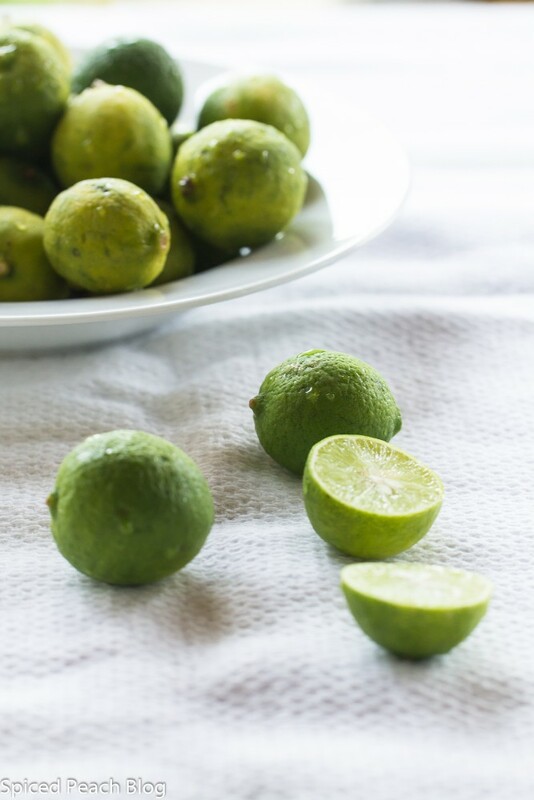 But then it is also important to note that although there is still some small commercial production of Key Lime’s in Florida this was transitioned toward the more common Persian type limes since most of the Key Lime crop was wiped out in the 1926 hurricane. Unfortunately, a citrus canker in the lime trees in 1995 also lent a setback to Florida’s lime production which today works towards renewing growth of the fruit. Today’s Key Lime Pie Cups recipe sticks to the basic common ingredient combination simply using Key Lime Juice and rind, egg yolks, and sweetened condensed milk. Of course, the classic must also contain basic graham cracker crust right? While I considered making the Key Lime custard on its own to fill the cups as a tart summer dessert, really, the sweet buttery combination of the crust provides a perfect contrast, so I decided then not to mess with what was perfectly classic in its composition? Or was it? Among the collection of many stories I came across in my historical research and questions surrounding Key Lime Pie was an excellent feature interview on Epicurious by Molly O’Neill, “The Curious Case of the Key Lime Pie.” The article sheds some interesting perspective on Key Lime Pie with book author, David L. Sloan, who considers himself the world’s foremost authority on Key Lime Pie. Sloan also claims to have the original recipe found at the ‘ghost’ home of Bill Curry, Key West’s first millionaire who provisioned ships, making a further fortune on the shipping of condensed milk following its invention by Gail Borden just prior to refrigeration. Sloan also now challenges that the original Key Lime Pie recipe was first created by Curry’s personal cook, ‘Aunt Sally,’ as is still widely thought by many. Incidentally, it has also been researched and ‘Aunt Sally’ has no recorded last name attached. The article by Molly O’Neill is a worthwhile read, especially when Sloan shows up to their interview with two ‘Key Lime Pies,’ one, with bacon, the other, with habanero peppers, making his comparison point that “history and authenticity are not the same thing,” sort of defending the diversity of Key Lime Pie lovers in Florida, perhaps everywhere, including their recipe variations and adaptations according to family, location, life’s circumstances, and including those even unexpected. “Around here everyone has a story. They tell it in Key Lime Pie.” Sloan said. And so, finally released from seeking precise perfections of the classic, authentic, pie, today’s life story begun with snatching two green netted bags of the rarely available, treasured green, yellowish balls yielding plentiful, aromatic strongly tart juice, combined into thickly whipped egg yolks and sweetened condensed milk, creates its own creamy, deliciously tart story, Key Lime Pie Cups. Preheat oven to 375 degrees. Wiz graham crackers in food processor to crumbs, remove to a bowl, stir in the sugar. Pour in the melted butter stirring well to fully coat the graham cracker crumb and sugar mixture. 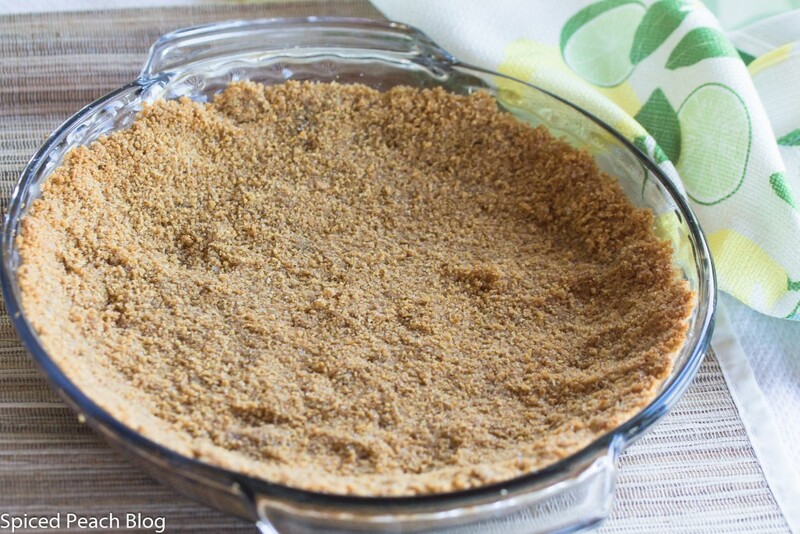 Press graham cracker crumb mixture into a glass pie plate on the bottom and up the sides. Place into oven and cook for 8-10 minutes until golden brown, remove from oven and let cool, may be prepared a day in advance. Preheat oven to 350 degrees. 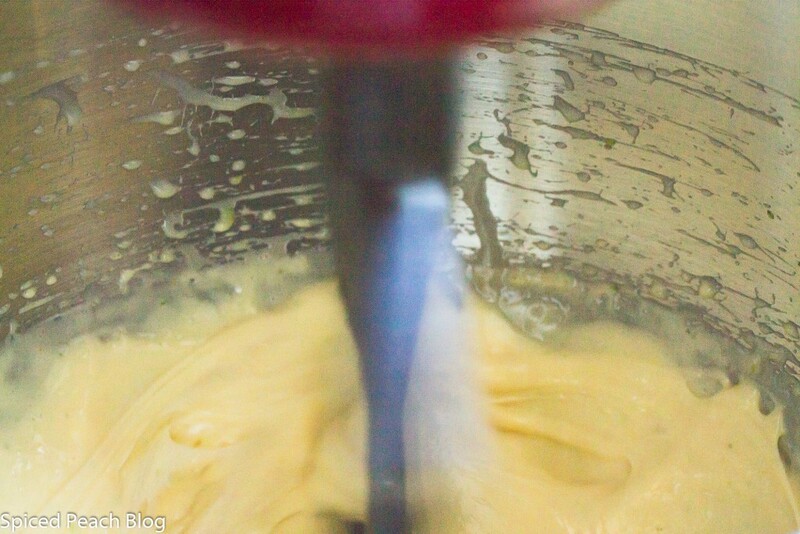 Add the egg yolks into the bowl of an electric mixture, beat at least 3 minutes, pour in the sweetened condensed milk, beat 4-5 minutes until mixture has increased in volume and is quite creamy. Pour in Key lime juice and a half tablespoon of the lime rind, blend until fully incorporated, another minute or so. 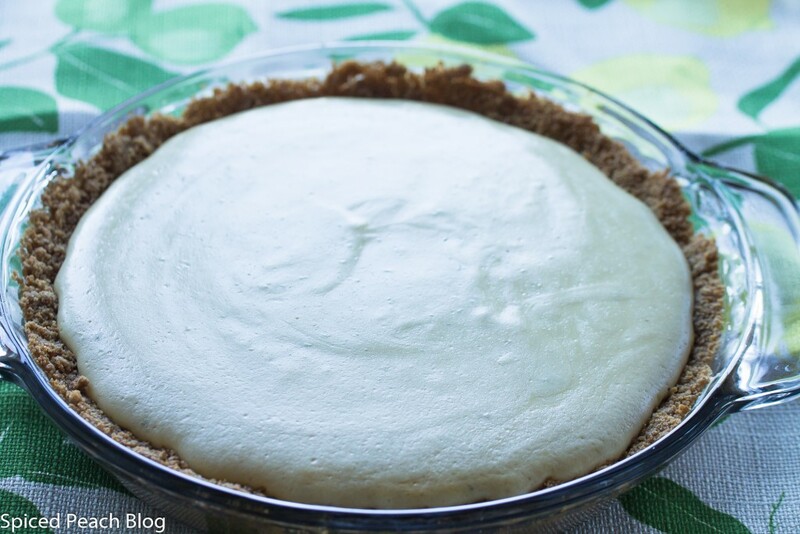 Pour Key Lime custard into the graham cracker crust, place into oven and bake for 8 minutes, just until set. Remove pie from oven, cool to room temperature, chill at least a few hours or lightly covered overnight in refrigerator. When ready to serve score out pieces of pie and place into cups, top with whipped cream, a thin slice of Key Lime, and a sprinkle of the remaining zest. 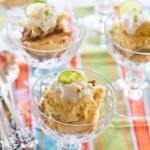 This entry was posted in Sweet Treats and tagged Key Lime Pie Cups, Key Lime Pie Cups Recipe, Key Limes. Key Lime Pie. Bookmark the permalink. Post a comment or leave a trackback: Trackback URL. Hi Jessica, can’t wait till you try this, so easy and so delicious, enjoy! Wow I sure do love key limes and anything made with them! I’ve got this on my list of yummy things to make that’s for sure. Thanks for sharing this. Pinned and shared! 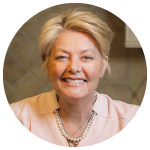 Carolann recently posted…If You Can’t Stand The Heat Get Out Of The Kitchen? Hi Carolann, thanks so much, love the key limes too, such a juicy burst of the tart, hope you enjoy them. Perfect for summer, Peggy. I used to enjoy the chocolate covered key lime pies on a stick in Key West. Fun take on the traditional. Have a great weekend! Hi Kelly, I’ve not see chocolate covered key lime pies on a stick but it actually sounds like quite a clever idea, someone in the Keys also has a special story to be sure. Beautiful photos, Peggy. They make me very hungry. Hello Jolma, thank you so much, these are quite good, a nice tart pie with the Key Limes. I’m so sorry to learn of the loss of your friend, Sue, for some reason I didn’t get this recent post in my inbox but what a lovely tradition ‘Bread Flowers’ are. Wishing you the best in this difficult time. I love key lime pie made with real key limes. I have not seen them in years. They look delicious. Hi Jay, Thanks so much, I too love key limes with their big bold flavor, despite their small size. A worthwhile dessert to try! Looks so yummy, Peggy! Just the key limes give me a zing..Does the pie taste eggy? Hello Pragati, the Key Lime Pie is delightful, no it is not eggy at all, more like a very smooth custard with a zing. Thanks for stopping by and congrats on completing your 30 days of Daal!